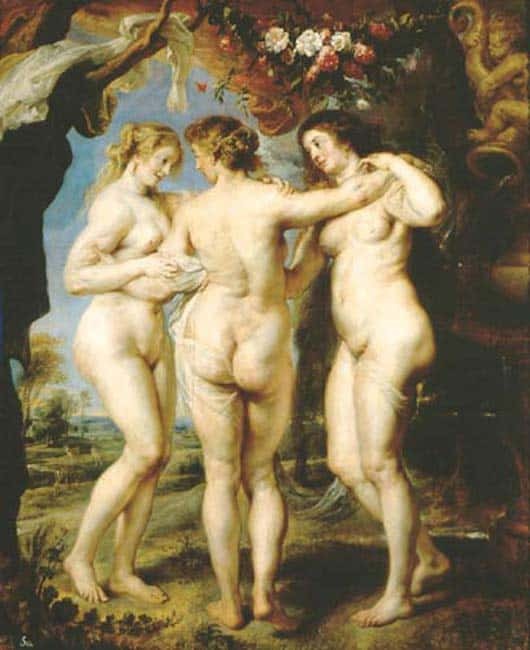 The Three Graces. Charm, beauty, and creativity. It’s my pleasure to invite you to share in my celebration of beauty and experience my passion and creative energy embodied in an original, epic and contemporary figurative painting on metal. 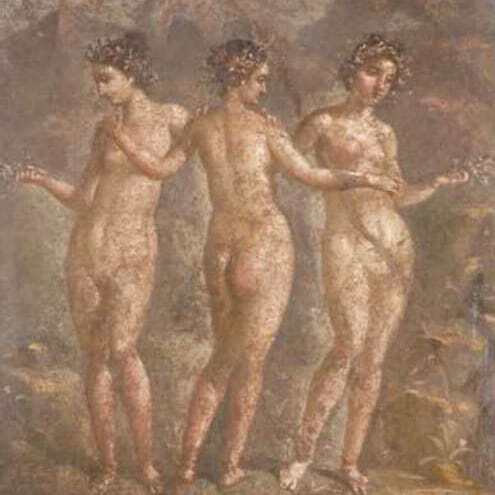 The Three Graces, goddesses of charm, beauty, and creativity have been an iconic inspiration for artists throughout the centuries. Raphael, Rubens, Canova and other masters of the past have been inspired by this enduring theme. Their touchstone is timelessness. Like artists before me, I am inspired by great natural classical beauty. Since 2002, powerful art nudes have been the focus of my art and creative energies. Unlike artists before me, my approach celebrates beauty and energy in true 21st century style. My signature process results in a seemingly holographic effect reflecting this engaging imagery in a very unique and contemporary way. My metal art dynamically alters in appearance as natural light shifts throughout the day to display lighting by night. With my metal grinding processes, use of unique treatments and color-shifting pigments, only my original paintings exhibit this illusion so dramatically. Inspired by the classics, I intend to create a contemporary version of the Three Graces masterpieces paying homage to their time-honored lineage. 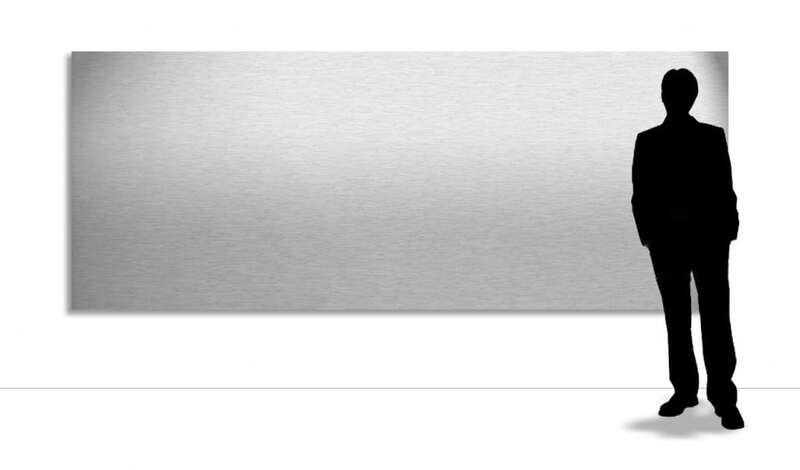 The Three Graces of the 21st Century will be the masterwork of my body of art to date and begins with a single sheet of specially-prepared metal — 4 ft. x 10 ft. in dimension — transformed into my interpretation of this timeless and iconic theme. This special hand-crafted artwork will be unique in every regard. Beauty is fleeting. Art is eternal. This is a rare and exclusive opportunity to participate in the creation of an epic original artwork and be part of a truly historic project. An original creation this special will require naturally beautiful women of the highest calibre. To reflect the essences of charm, beauty and creativity, I will meticulously hand select three perfect models for this masterwork. Only one exclusive painting of epic proportion will be created as my Three Graces masterpiece. It will measure approximately 4 ft. tall x 10 ft. wide featuring my three world-class muses. Furthermore, I will never authorize its reproduction. We’ll begin with a photo shoot with our three muses in a spectacular setting. It could be a Las Vegas mansion or other exotic location. Traditionally, the photo shoot is a wonderful day of creative energy. You may be called upon to participate actively as my assistant. Following the photo shoot, I will select the images that will inspire my artwork. Next is the process of grinding the metal according to the flow of energy and imagery that I intend to capture. This is a very intense and time consuming step, and an important one in achieving the holographic illusion that my metal art is known for. Once I’ve completed preparing the metal surface I will meticulously paint, scribe and apply other treatments to obtain the exact imagery that I have envisioned before adding my organic edges. The next step is to clear and polish the artwork to a deep high-gloss finish. Finally, the completed artwork is bonded to a specially constructed metal structure allowing the art to float from the wall. The entire process will take approximately six to twelve months to complete. Everything will be documented with video and photography, then journalized online for the purpose of provenance. A certificate of authenticity will accompany the artwork. A special unveiling event can be coordinated to share your Three Graces artwork with friends, family or business associates. As the artist, I will make an appearance and perform the unveiling. The muses featured in the artwork can also be invited to attend. At your request, I will be available to assist with the installation and lighting of your artwork. 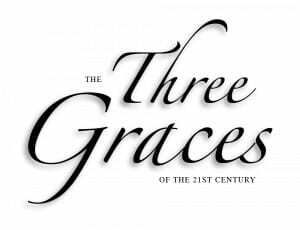 Finally, as a beautiful record of our collaboration, the Three Graces project will be documented in a leather bound book. This coffee table heirloom will be hand autographed by myself, and if possible, our three muses. A.D. Cook is a world renowned, internationally established, master artist whose brilliant career spans decades and includes hundreds of spectacular artworks utilizing a wide variety of media. His creative imagery busts out of traditional art forms leaving collectors marveling at the power, beauty and detail of his artwork. The very nature of his art provides lasting enjoyment and increasing value for his collectors. The international art community continues to recognize him as a pioneer in his genre. His original paintings on canvas and metal have often been featured in magazines and books as masterworks. His art has been exhibited in fine art galleries from Key West to Hawaii, and he has been a featured artist at ArtExpo in New York City. Since 2002, large-scale figurative art is his specific creative focus and passion.